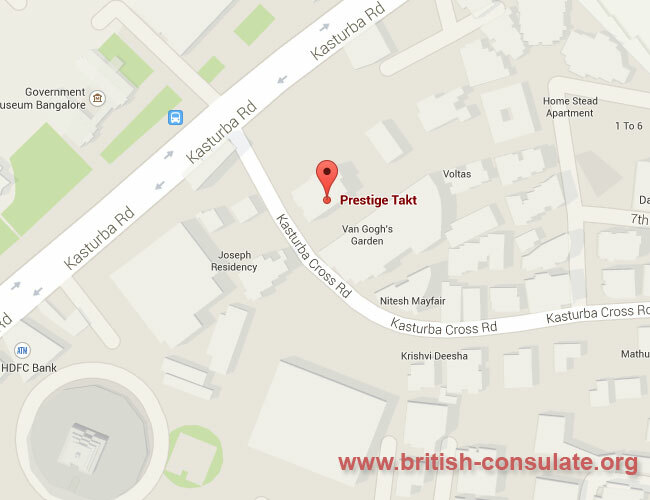 If you are an expat and need assistance with applying for a passport or registering a birth abroad or applying for a British visa then speak to the staff at the British Deputy High Commission in Bangalore if you live in the area. Their contact details and a map has been added below with telephone numbers and the email address. You can also ask about renewing your British passport and ask about embassy fees. Not that you can also contact the British High Commissioner in New Delhi for assistance. We have also added the British visa wait times and this can be for a visitors visa or settlement visa. Note the full table also listed. 95 per cent of settlement applications within 12 weeks and 100 per cent within 24 weeks of the application date.